Labor Day is our signal for the unofficial end of summer, and yet it’s quite hot out. We hunkered down for an indoor barbecue with Netflix. These Ball Park turkey dogs are all-white meat (quite literally, it seems), so flavoring and sides grow in importance. And that’s okay, isn’t it? Sometimes the sandwich can take a back seat in an ensemble meal. 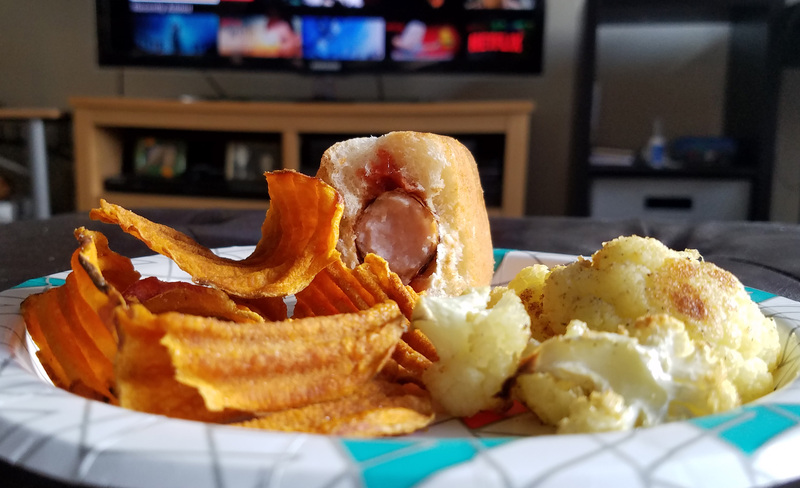 So often we look for the stars or the anchors, but when the hot dog and the sweet potato chips and the roasted cauliflower all live as equal, the biggest winner is you.